Amazing new construction, Arts & Crafts home, built by BenMar Residential, offers 3 finished levels, 5 spacious bedrooms, 5 bathrooms with high quality finishes, fixtures and fittings and over 6,500 finished square feet of luxurious living and all the attention to detail. The sun-soaked main level includes a comprehensive gourmet kitchen with center island and quartz countertops, large family room with gas fireplace and beamed ceiling, living room, banquet-sized dining room, and hardwood floors throughout. The upper level includes an expansive owners suite with gas fireplace, dual walk-in closets and a spa bathroom designed for pampering. The other 3 upper level bedrooms each have their own elegant bathroom and generous walk-in closet. The finished lower level includes an over-sized rec room with full wet bar, game room, media room and an elegant bedroom with full bath. 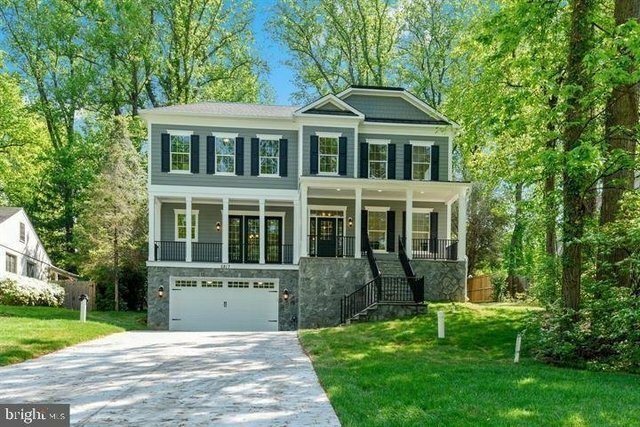 Inviting level backyard, 2-car garage, just minutes away from downtown Bethesda.